I've been wanting to try Penang Kitchen over at Coronation Arcade, but Bukit Timah's quite a distance for me. So I was quite happy to see that they've set up a second branch in the East, very near me! Of course, one of the items I had to try is the Penang char kway teow (S$8.30). It's so hard to find a good Penang char kway teow in Singapore! Well, this one was well-executed in that it had fresh, quality ingredients and was not greasy. However, it was also bland because it was not spicy at all. I asked if they do spicy versions as well, and they said the default is spicy. I guess they took account of the fact that we had toddlers with us, so they omitted chili. Yes, I appreciate the thoughtfulness, but I do wish they would ask first. 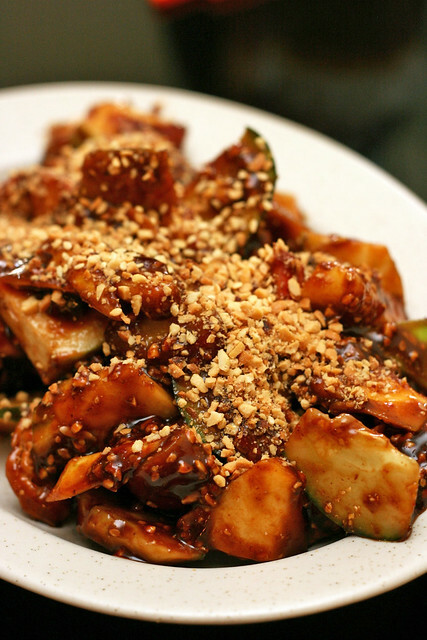 Penang Fruit Rojak (S$7.80). Very fruity indeed. With guava, starfruit, pineapple, cucumber, and such, but very little taupok or youtiao. There was certainly lots of belachan in the very sweet dressing. We felt this could do with a dash more lime and chili (I guess we're too used to our neighbourhood rojak which can be killer spicy sometimes). Penang Lor Bak (S$7.80 for small portion, which gives you two pieces), served with homemade sweet dipping sauce. 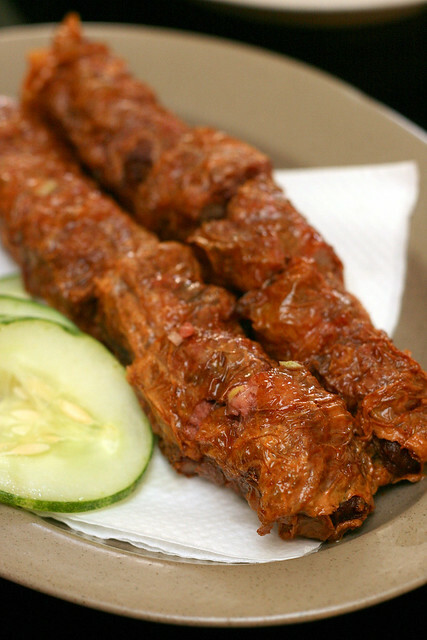 These have chunky strips of tender pork inside, unlike our local ngoh hiang which feature more of a mincemeat paste. 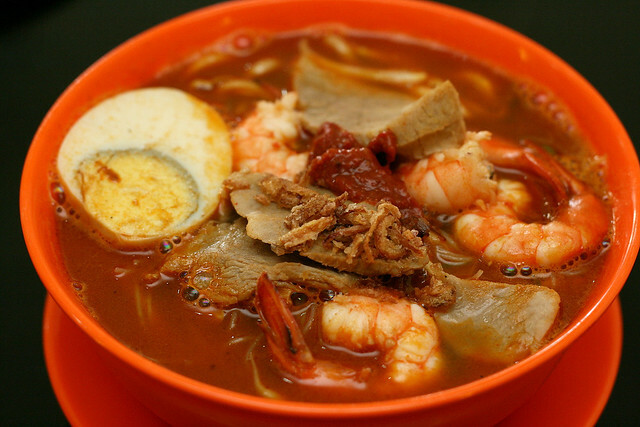 Penang Hokkien Prawn Noodles (S$8.30). The flavourful soup is so thick, it's almost opaque. They are generous with prawns and sliced pork, but the bowl looks really small. However, I found myself struggling to finish it towards the end! We didn't try their signature Penang Assam Laksa as I'm not a fan of sourish food. But yes, you can get it here too. 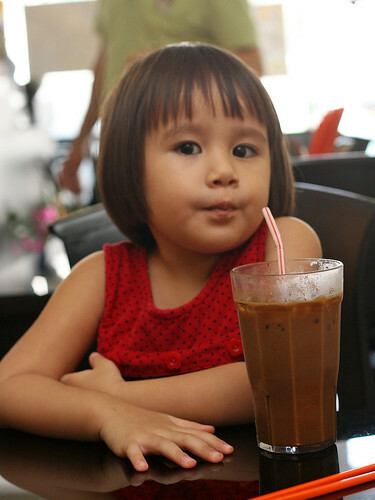 The Penang Coffee (iced) is not bad. Jolie is so gonna be a coffee addict like her dad. There are other drinks too, like a nutmeg-spiked lime juice. Nutmeg is one of Penang's popular exports. I remember my parents buying pickled nutmegs on trips to Penang. So anyway, the food seems fairly authentic for what you can get in Singapore (although I'm really no authority on Penang food). We felt the food was decent, but just short of the "wow" you'd get in Penang. It could also be that we are used to food that's a lot spicier. Portions seem a bit small too, but they are just nice if you order a few appetisers and maybe dessert. Oh, and it's cash terms only at this place. There's service charge, but no GST. 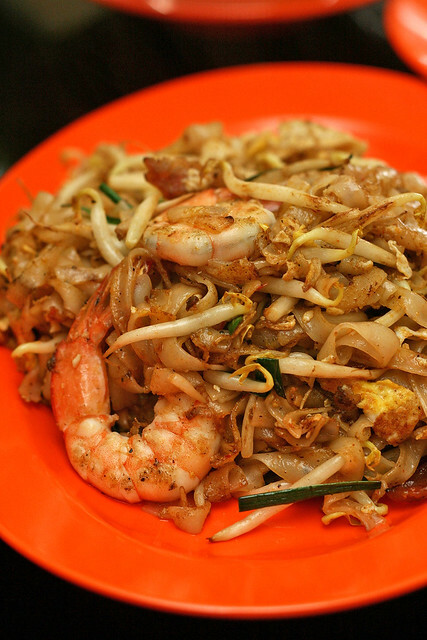 Have you tried the char kway teow from Penang Place? Its the best I've ever tasted! There is a Penang char koay teow at bukit timah hawker and market. Their char koay teow is so far better than most of the other Penang rest and stalls.